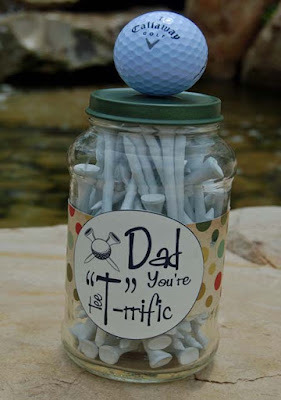 It's inexpensive - you can easily pick up a pack of golf tees from a sporting shop for very little expense, and the jar is a recycled jam or sauce jar. You can hand-write your own label, use a Dymo Label-Maker, create one on the computer, or use a swing-tag and tie it around the neck of the bottle with some lovely ribbon or jute twine. You could choose a selection of different coloured Tees, or write his initials on the top of the Tee so he can easily recognise his Tees. You can experiment with putting the Tees in other things - little fabric bags, other interesting boxes you can find from craft shops, plastic containers, etc. 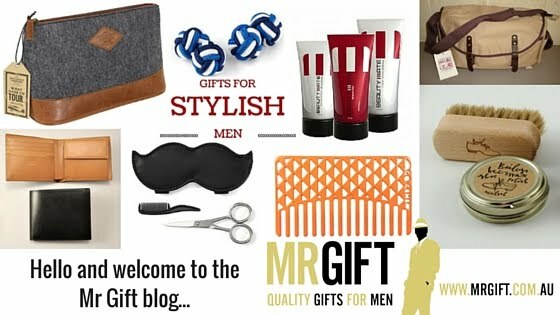 Do you know a man who plays golf who'd love a gift like this?